Great location and really spacious apartment for our family. Parking out the front an easy walk into all city sights. The host was very friendly and helpful to accommodate my check in time as I arrived at the facility late in the evening. 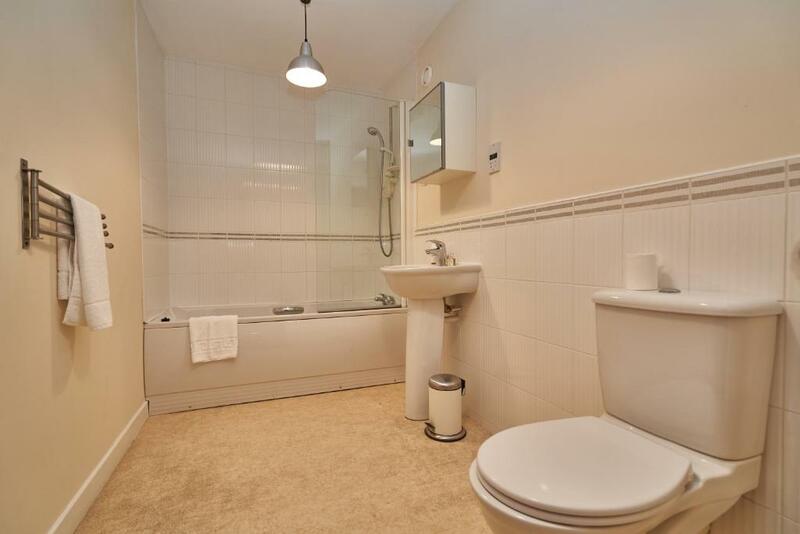 Huge well appointed apartment! Nice and clean, and the owner was super nice!! Everything else was ace! Apartment was clean and comfortable. In an excellent location near to tram, train and bus connections. Really helpful staff, looked after our bags on the last day of our trip at no extra charge. Would highly recommended! There was a lift. Car parking close. Delicious food very close. Upon arrival at the lettings agency, opposite the accomodation, the gentleman who served us was very friendly and helpful. After sorting out the deposit we met the gentleman at the accomodation and he gave us a good tour and information. Very friendly and helpful staff when collecting keys. Property was in quite a nice neighbourhood. 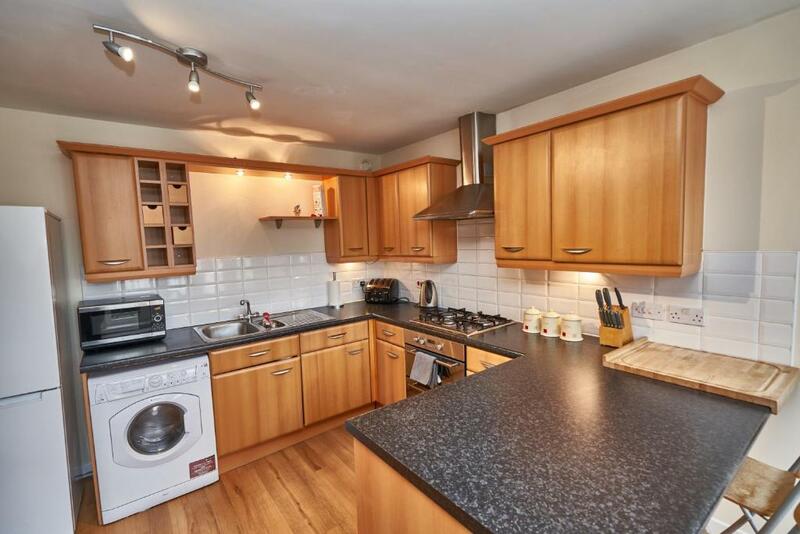 Easy walking distance to the main area of Edinburgh. Would be an added bonus if key collection was in a lock box at the apartment block. Apartment was lovely and warm in Winter. All the basics are provided eg. coffee, tea, sugar, salt, pepper. Lock in a great price for Apartments Lets Edinburgh – rated 8.4 by recent guests! Apartments Lets Edinburgh This rating is a reflection of how the property compares to the industry standard when it comes to price, facilities and services available. It's based on a self-evaluation by the property. Use this rating to help choose your stay! 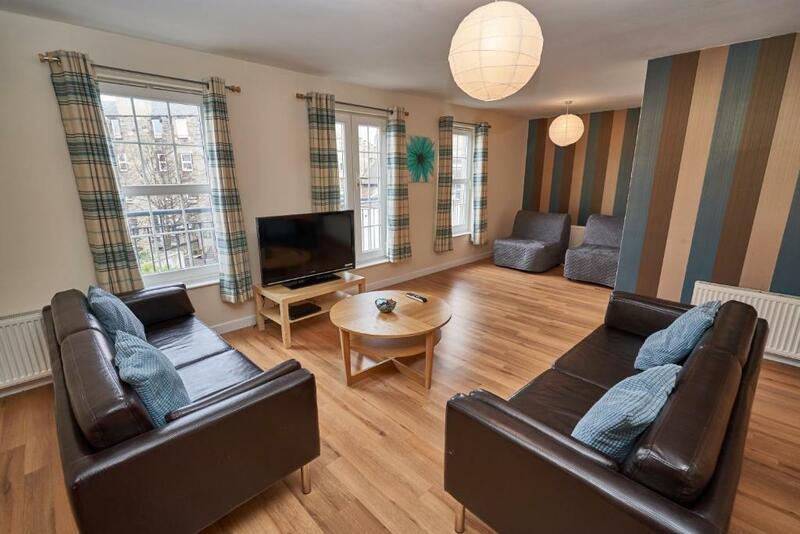 One of our top picks in Edinburgh.In central Edinburgh, the 4-star Apartments Lets have free Wi-Fi, DVD players and free private off-street parking. Edinburgh International Conference Centre (EICC) is within a 10 minute walk away. The 2 bedroom apartments have 2 bathrooms and a modern fully equipped kitchen with a dishwasher, microwave and washing machine/dryer. The stylish lounge features a TV, video, CD player and spacious seating area. 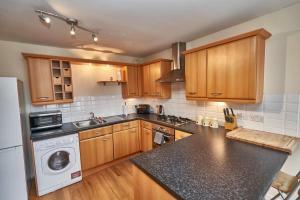 In the Haymarket area, Apartments Lets Edinburgh are close to vibrant bars, cafes and restaurants. Princes Street and Edinburgh Castle are within easy walking distance. 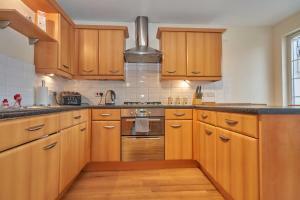 When would you like to stay at Apartments Lets Edinburgh? 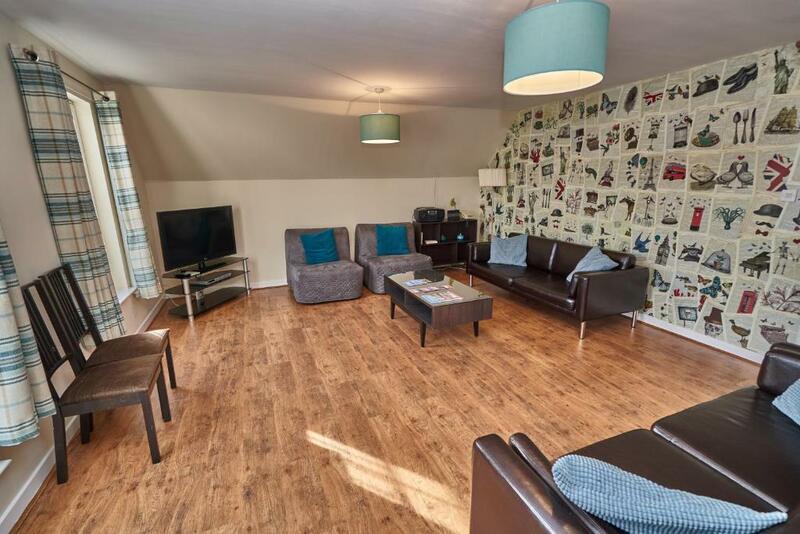 Boasting a fully equipped kitchen, a lounge with a TV and DVD player, this spacious, luxury apartment also features 2 bedrooms, a bathroom, and free WiFi and free parking. Boasting a fully-equipped kitchen, a lounge with a TV and a DVD player, this spacious, luxury apartment also features 3 bedrooms, 2 bathrooms, free WiFi and free parking. Apartments Lets Edinburgh – Dalry Gait & Annandale Street offer modern apartment accommodation in Edinburgh’s city centre. Our apartments are ideally located to visit the city’s wonderful tourist attractions, bars, restaurants and shopping. We are a family-owned and operated business, and we treat our customers as friend and family. You can experience more than what is in the guide books with our staff’s recommendations and warm welcome! 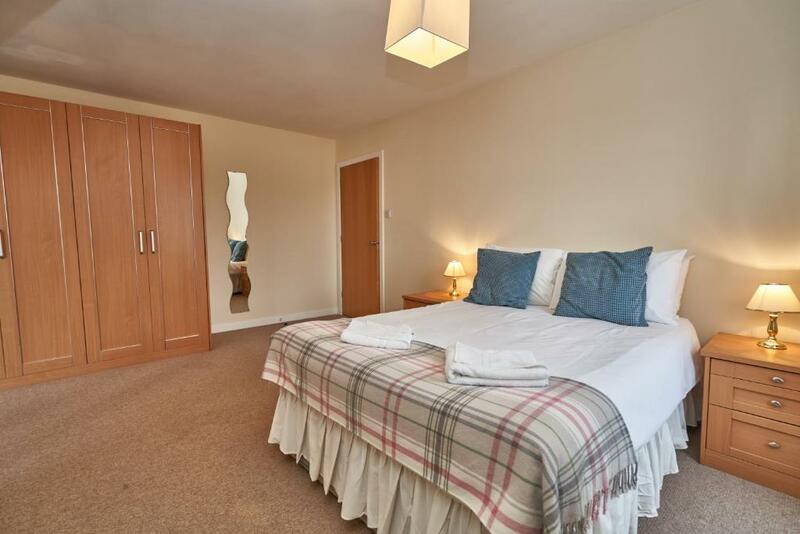 Whether you are visiting Edinburgh for its world-renowned heritage sites, famous shopping, award winning restaurants and bars, Apartments Lets Edinburgh – Dalry Gait & Annandale Street are perfect for your trip. You can walk everywhere or take the tram, but with everything on your doorstep you don’t have to travel far. Should you be venturing further, free parking is available during your stay. House Rules Apartments Lets Edinburgh takes special requests – add in the next step! A GBP250 damage deposit is required on arrival (around USD323.89). This deposit will be fully refunded 7 days after check-out, as long as there isn't any damage to the property. Apartments Lets Edinburgh accepts these cards and reserves the right to temporarily hold an amount prior to arrival. Please note that guests checking in after 22:00 will be charged an additional fee. The apartments are within a residential development and noise must be kept to a minimum. A damage deposit will be required for groups. This deposit is fully refundable upon check-out and subject to a damage inspection of the accommodations. Please inform Apartments Lets Edinburgh of your expected arrival time in advance. You can use the Special Requests box when booking, or contact the property directly using the contact details in your confirmation. Please note that check-in and key collection take place at: 73 Dalry Road, Edinburgh EH11 2AA. A damage deposit of GBP 250 is required on arrival. That's about 323.89USD. This will be collected by credit card. You should be reimbursed within 7 days of check-out. Your deposit will be refunded in full by credit card, subject to an inspection of the property. The bed had been broken and slatts taped up with gaffa tape. To pick up keys you make an appointment with real estate across the road. They wanted a 250 pound deposit... We have been to UK twice and apart from posh hotels this is the only establishment to want that. The owner of apartment was in Australia and could only be reached by email... with time zone issues there was no way to resolve anythiing for a one night stay. The agents were friendly and helpful. It would be great to have instructions on how to work everything in the apartment and where local supermarket is located. eg. wifi, oven, dishwasher, washing machine, dryer, heating system. Even a list of what dishwashing cleaner is required and washing machine detergent. Slight hiccup when there was no spare toilet rolls!! Surely for the price a pack of toilet tissues could be provided. Disappointing to have to wait for entry as previous tenant trashed the place and it needed a major clean. Apartment is aging and could do with a major overhaul clean. Main shower had no pressure, no ignition on two of plates of the cooker plates, floor boards creaked every step you took, empathise with the people on floor below. Floor was very dusty. Excellent location. Everything you need was there. Plenty of room. The master bed should be bigger and better quality. Washer/dryer didn’t work very well. The dishwasher didn’t work. Good location. Good for a car park. Very spacious for our family of 5. No hassle checking in/out.